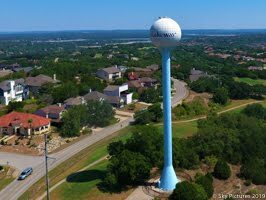 Lakeway Update: Weather?, Editorial, Council, ZAPCO and MORE! Weather?, Editorial, Council, ZAPCO and MORE! What about the weather? High of 79 on Tuesday, high yesterday was 37. That's a 40° spread, ugh. The rain they promised didn't come but the sleet and graupel? did appear. What in the world is graupel? Soft small pellets of ice created when supercooled water droplets coat a snowflake - why had I never heard of this???? Not to fear, it will warm up Sunday ahead of yet another front early next week. Highs in the 50's and 60's. Maybe some rain? Editorial: We are back in yet another election cycle. When we moved here in 1988 (and before that for years) folks volunteered and worked in the city and learned about city government. Then if they had the inclination, they ran for council and then mayor - it takes a while to learn about government and the differences between how that works and how things work in the private sector. It's a new world now. In 2014 we changed the charter to allow for 3 year terms and that was working pretty well except our attorney left out the part that it requires a majority vote (50%+1) instead of a plurality. Since then, on advice of the Secretary of State, we went back to 2 year terms and a plurality vote. Why am I bringing all this up again? Because what is happening in this cycle is just what we were trying to prevent in the election by going to 3 year terms. There are a total of 4 seats up for grabs in this election - the Mayor and 3 council seats. What is the issue? Depending on the outcome, the entire majority of the council can/will change. As of Friday, the City Secretary reported that 6 packets had been picked up. Sandy Cox, Dwight Haley, Thomas Kilgore, Caren Kilgore, Wendi Severence and Gretchen Vance. Ms. Vance has already filed for council. None of the interested parties except for Ms. Cox and Mr. Haley have any experience with city government unless you count the two lawsuits Mr. Kilgore has filed. It should be interesting! Council held a work session on Monday evening - here is that agenda. They had a presentation from Justin Bragiel from the Texas Hotel and Lodging Association. He gave council an overview with some detail on what the collected funds could be spent on. Hasn't changed much, any expenditures need to support the local hotels - the term heads on beds is appropriate. Money can be used for advertising and some transportation. A convention / conference center could be built and funded. A few other things came up, the problem is most folks don't want additional tourists coming into our city. Here is a link to the video. A update presentation was given by Bill Hayes on the proposed development for the MUD property off Lohmans. This layout consisted of some commercial and some residential. It is lower density than was previously proposed, but also includes NO road from Lohmans to the Oaks. The proposed road will be a 2 lane that would go to the end of the MUD property - it would not cross the Stratus property. Right of way would be provided if the city wants to partner and make this a 4 lane. Costly! It is estimated a $2M+ just for the piece to cross the Stratus property (bridge required). The rest to Lohmans I estimate to cost between $3-5M. There is also space allotted for a larger park. There is also space for a couple of parking garages if the city wishes to build them. ZAPCO met in regular session Wednesday - here is that agenda. Item 5 was postponed, item 6 was denied. It was a request to reduce the parking requirements for a property on Clara Van across from the Lexus Dealer. Items 7, 8, and 9 were approved. Item 10 to revise the Preliminary Plan of Lakeway Medical Village was approved. ZAPCO has a special meeting planned for February 13. https://www.lakeway-tx.gov/ArchiveCenter/ViewFile/Item/2290. Lakeway is changing for sure! There were two issues at the High School this last week. One was a student that was unhappy with a grade and attacked the English teacher - the other was a gun threat that after investigation was proven unfounded by the authorities. Not changing for the better unfortunately. Of course, the Super Bowl was a real cliff hanger, much like a soccer game - lowest scoring ever. It was like watching paint dry - even the commercials were mediocre. I miss the Budweiser Clydesdales. Progress is moving forward on thre Honey Creek Subdivision on the East side of 620. They seem to also be making progress on the Springhill Suites in Lakeway Medical Village. Click on picture for larger view. There are more new pictures on SkyPictures. Here is a link to the Recent Pictures section. It includes many other new shots including Police Facility progress. Don't forget that Lakeway Vet Clinic is open 24 hours for emergency's. They have been outstanding with our Bulldog Bella who is doing remarkably well! Thanks to Dr. Doyle and his staff for taking care of Lakeway pets and animals! That's all for the moment, more as I remember or I hear about it. Thanks to all that continue to express their appreciation for the blog! Please visit my Sky Pictures site for aerial photo's and JB Hosting if you have a need for a web presence. If you want to be added (or removed) from my email list, send a note to lakeway@bain.us and I'll make it happen.